"All these technical and non-technical companies... have a very big responsibility," Jean-Philippe Courtois, head of global sales at Microsoft, told AFP in an interview. The spoils of the digital economy "must be redistributed to a larger mass of people", he said. "This means a responsibility, for example, in education." Companies "underestimate the increasing momentum of digitisation, the behavioural changes and technology driving it, and, perhaps most of all, the scale of the disruption bearing down on them", said the report in McKinsey Quarterly. Financial services "were primarily designed to serve people who were employed at a nine-to-five job by a single employer, oftentimes for their entire careers", said Bill Ready, chief operating officer at PayPal. "But changes in the way money is earned must be accompanied by changes in the way money is paid and managed," he added, and that requires digital change. Microsoft itself has already transitioned after its former cash cow, the Windows operating system, lost market share, turning instead to offering remote services in the computing "cloud". At a pop-up cafe on the Davos Promenade, Microsoft employees showed interactive videos, calling them "stories", illustrating the small revolutions it says its artificial intelligence can deliver. One featured "the supermarket of the future", including "digital shelves" that can show ads and change prices using a network of sensors. In one scene, a dropped carton of milk is automatically signalled to a clean-up crew. Companies can buy this technology off the shelf, "but you also need to build your own digital core (and) as a result of that, you are going to become a digital company", Courtois said. But in the urgent hunt to modernise, companies "have to be super clear about where you want to go". Data remains at the core of this technology. It can now be collected and treated in innovative and—for some—frightening ways, including facial recognition. 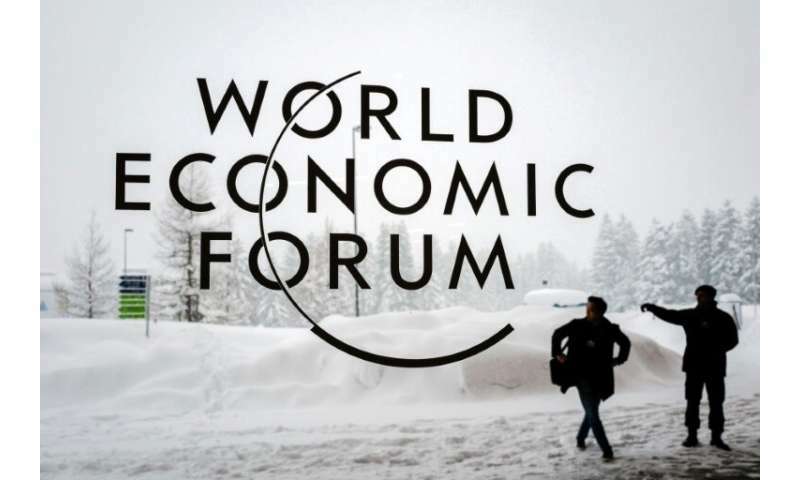 This "fourth industrial revolution", another Davos catchphrase, "is moving faster than anyone expected", said World Economic Forum expert Murat Sonmez. "Businesses and governments are falling behind in responding to this pace, continuously operating in the 'too late zone'," he said. Microsoft's Courtois said that he fully backed GDPR and stressed that rules on technology should go even further. "There is a crucial human element and we must discuss this with regulators ... to ensure that together we build a democratic, accessible and fair intelligence built for society," he said.